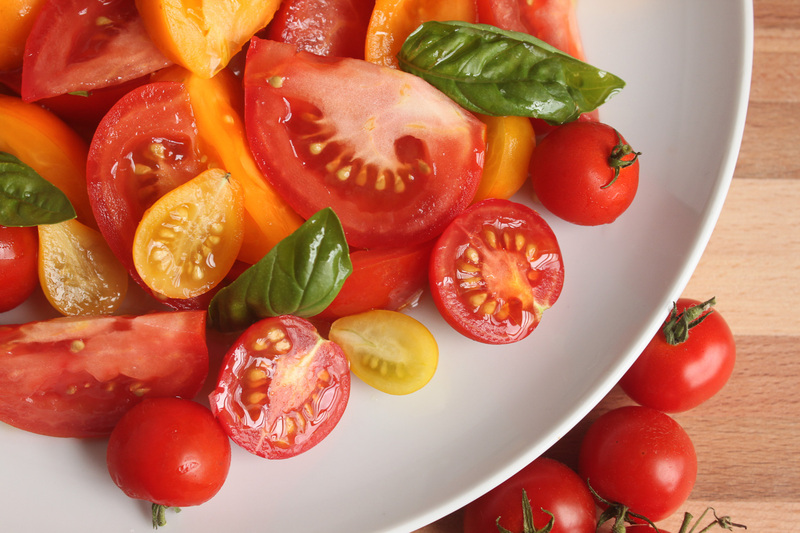 This visually stunning salad takes advantage of sweet summery tomatoes and fresh basil. If you are lucky enough to get heirloom tomatoes, by all means, use them in this light and refreshing dish. 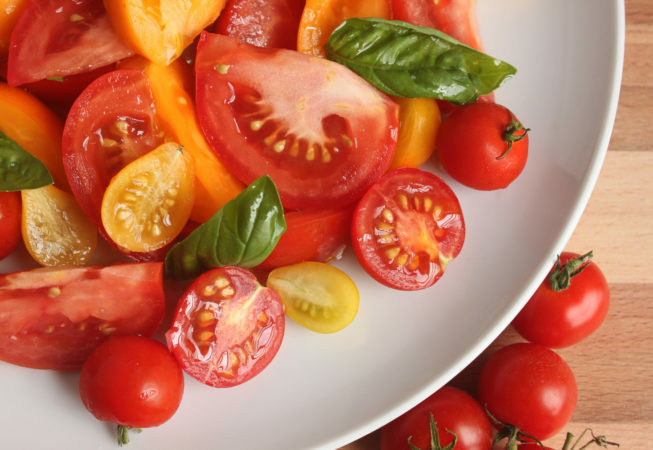 Let the tomatoes sit in the vinaigrette for at least 30 minutes so they can absorb the garlicky flavor.